During their team’s exciting 20-18 victory over the New England Patriots Sunday, Denver Broncos fans who are Verizon Wireless customers used 2.87 terabytes of wireless data, according to Verizon. 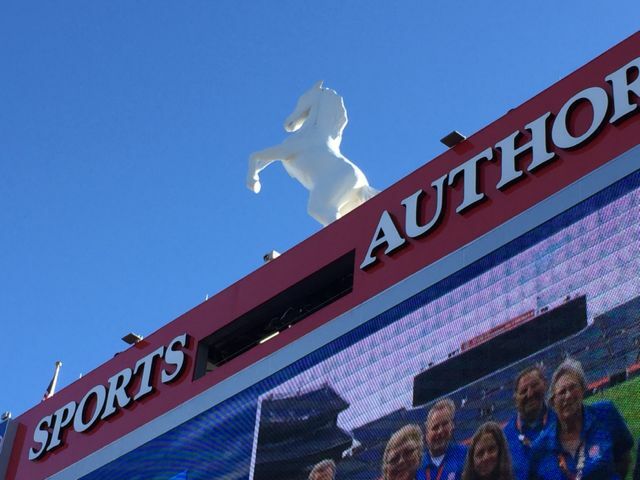 That total includes 1.7 TB used on the Verizon-only Wi-Fi network at Sports Authority Field at Mile High, and another 1.17 TB of data on the Verizon LTE DAS network at the stadium. Also on Sunday, at the Bank of America Stadium in Charlotte, N.C., where the Carolina Panthers defeated the Arizona Cardinals, Verizon Wireless customers there used 1.3 TB of data on the Verizon LTE DAS network, according to figures sent to us by Verizon. 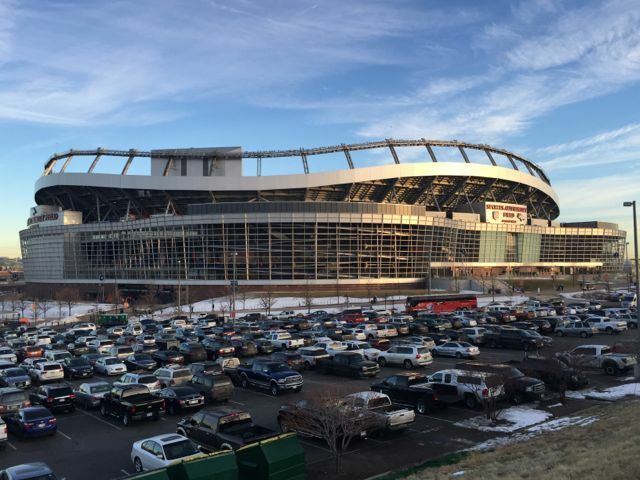 According to AT&T, its wireless customers set DAS traffic records at both stadiums Sunday, with 819 GB used on AT&T’s DAS network at Sports Authority Field and 739 GB used by AT&T DAS customers at Bank of America Stadium. Both totals are the highest-ever marks seen by AT&T at the respective stadiums, according to AT&T; the Denver total Sunday was 34 percent higher than the total used in the team’s first playoff game this season against Pittsburgh, and was 52 percent more than the average data used during regular-season games. In Charlotte, the DAS traffic total Sunday was 16 percent higher than the number hit during the playoff game a week previous against Seattle, and 50 percent higher than the average regular-season game, according to AT&T. On the AT&T Wi-Fi network at Bank of America Stadium, fans used 740 GB of data, which AT&T said is also the highest-ever mark for that network, 19 percent higher than the previous playoff game vs. Seattle and 36 percent more than the network saw for average regular season games. 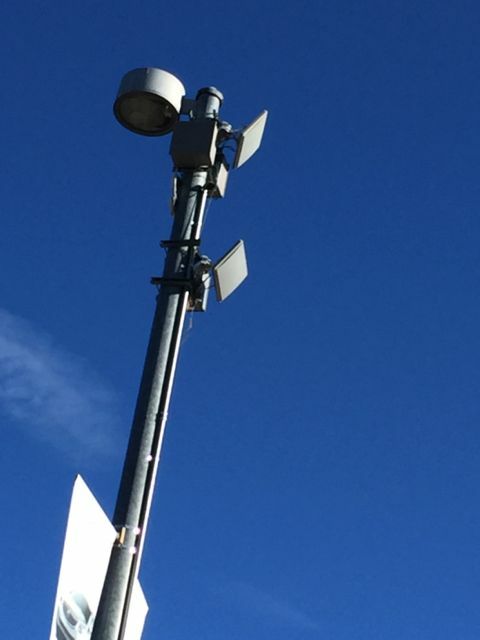 The Wi-Fi network at Bank of America Stadium will be replaced this offseason, with a new network built by AmpThink and Aruba. 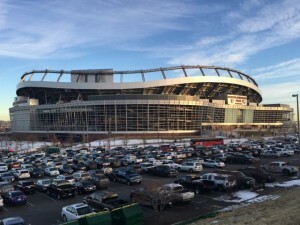 In Denver, the network situation is somewhat unique since Verizon built the Wi-Fi network inside Sports Authority Field at Mile High, but so far only Verizon customers are allowed access to it. While we’ll describe the situation in more detail in a stadium-visit profile coming very soon, the word from stadium IT types is that the Wi-Fi is open to other carriers but none have yet signed on to allow their customers access to it. There are, however, separate DAS networks for AT&T, Sprint and T-Mobile inside the stadium as well, so at least from a DAS perspective most fans at Mile High are pretty well connected. 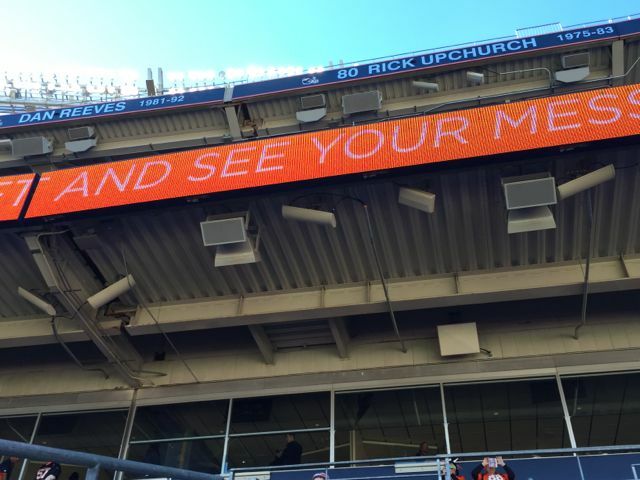 Stay tuned for more soon on the networks at Sports Authority Field at Mile High! In the meantime, some pictures from our Jan. 3 visit below. Count the antennas! See if you can spot the AT&T DAS antennas (slightly rounded) and the T-Mobile antenna (big square) among others in this overhang shot at Sports Authority Field at Mile High. The parking lots just outside Sports Authority Field have good Wi-Fi coverage as this light pole shows. It would be interesting to know not only the data amount, but also the average bit stream per customer during the event. So how many customers were connected, how long time was the measurement, and what kind of applications were driving the traffic volumes?